For our family, Holidays are all about traditions, whether it’s serving Ham Dinner with all the fixins’ or whipping up a batch of Chex Party Mix, we all love the Holidays. 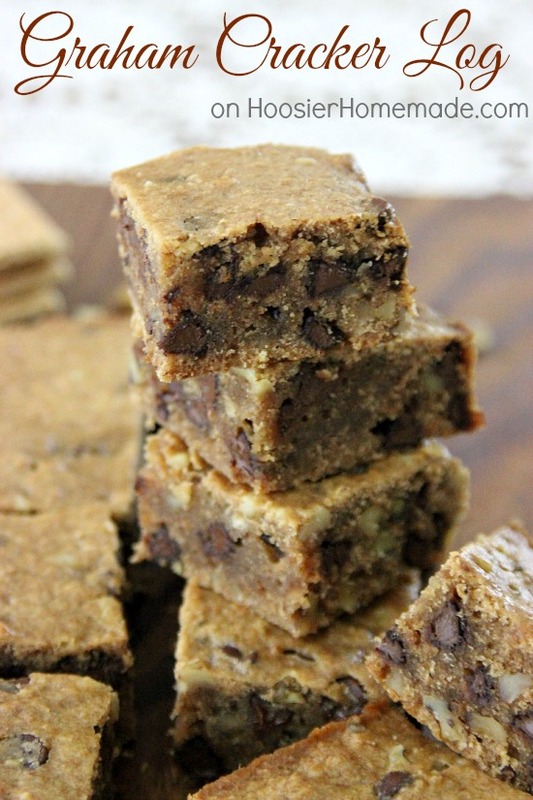 This moist bar cookie is filled with graham cracker crumbs, chocolate chips and nuts. There are few recipes you will find as easy as this Graham Cracker Log. And to lighten them up, I used Truvia Baking Blend instead of sugar. Designed for easy, at-home baking, Truvia Baking Blend is a blend of Truvia natural sweetener and sugar. It provides sugar-like taste and texture in recipes, but with 75% fewer calories and twice the amount of sweetness than sugar. 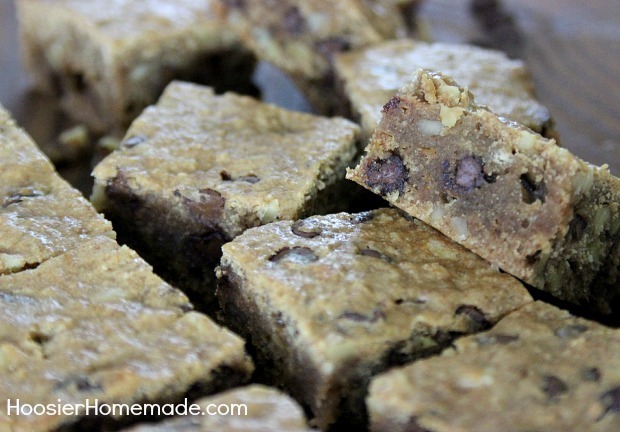 It also can be substituted for sugar in any recipe by simply using half as much Truvia Baking Blend as you would sugar. I’m sharing this traditional Christmas cookie recipe in the Christmas Cookie Exchange. For more delicious Christmas Cookie Recipes from your favorite bloggers, head on over to the Christmas Cookie Exchange! And visit Truvia for more recipes, and follow them on Facebook, Pinterest and Twitter. Hi Julie, yes you can easily freeze this. Just wrap with plastic wrap and put in air tight freezer bags. If one wants to use sugar alone, do we use 1C? Yes Lea, 1 cup of regular sugar. 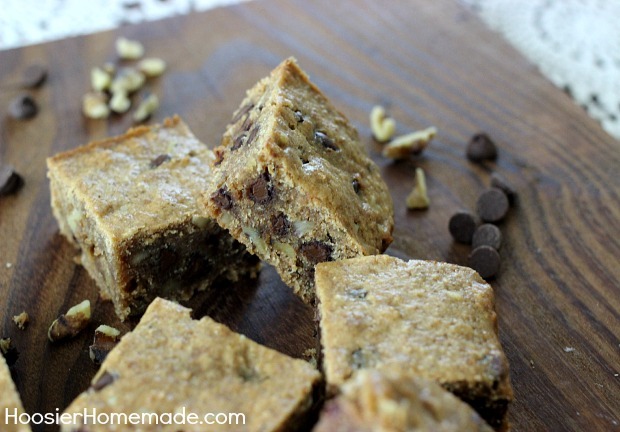 Liz–you have just convinced me to try Truvia Baking blend. Loving your recipe! 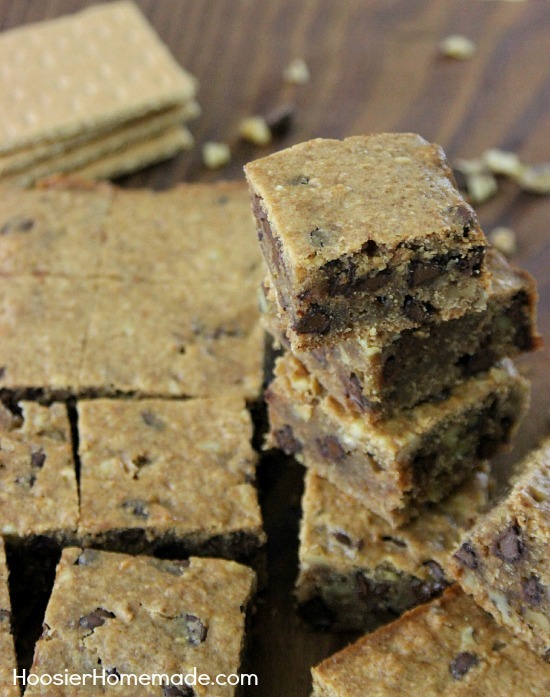 Some of my most favorite desserts start with Graham Crackers… now I have one more to try!! And thank you for organizing the cookie exchange – so much fun!! 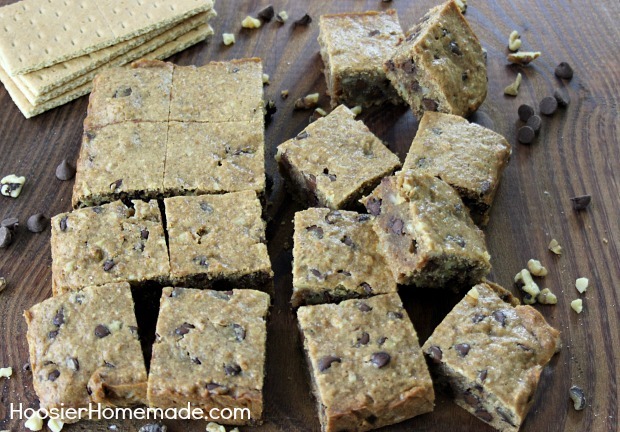 We love graham crackers are our house – I’ve got to try this recipe! And I love that it’s an old family recipe – those are the best! Thanks again for coordinating this great cookie exchange! Happy Holidays Liz!